Until recently, the life and work of Louis Agassiz (1807-1873) have been intentionally embellished. He has mainly been presented as a glaciologist, scientist, and director of academic institutions, both in his country of origin, Switzerland, and in his adopted country, the USA. In 2007, the international “Démonter Louis Agassiz” campaign, launched by historian Hans Fässler, began to open the eyes of the Swiss public, and exposed Louis Agassiz’s involvement in crimes against humanity. Louis Agassiz was one of the pioneering thinkers of 19th century’s ‘scientific racism’. He studied enslaved Africans in the places of their suffering, and taught that they were innately and eternally inferior. He advocated strict racial segregation, ethnic cleansing, and government measures to prevent the birth of interracial children. His ideology can be traced right up to the Nazis’ racial theories. Visual artist Sasha Huber began her body of work about Louis Agassiz in 2008 with the Rentyhorn project, soon after she joined the Démonter Louis Agassiz campaign committee. 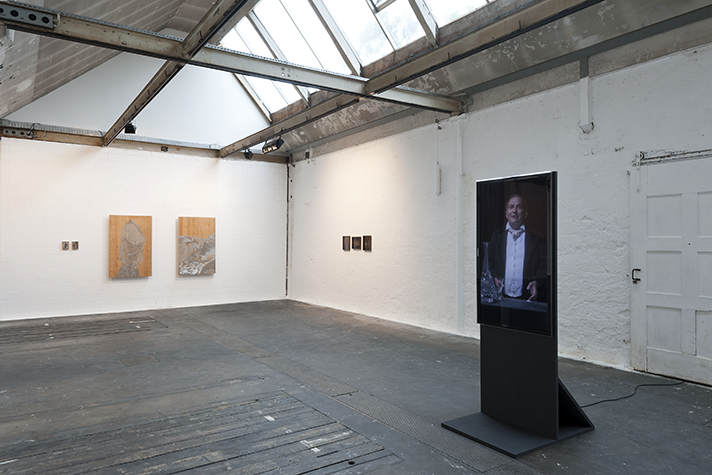 In summer 2013, Huber had her first solo exhibition (Louis Agassiz (1807-2013): Eine Heimsuchung) in Switzerland in Frauenfeld, following an artist’s residency during which she added greatly to her Agassiz project. For one of her new works for this exhibition she invited Agassiz scholar Hans Barth from Freiburg, Switzerland, to write the script for a theatre piece. This was performed by Thomas Götz, an actor from the Swiss canton of Thurgau. 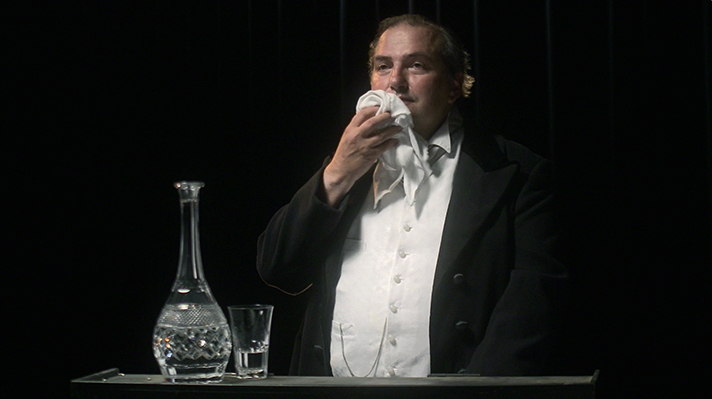 In the fictitious lecture, Agassiz attempts to vindicate himself and his theories. 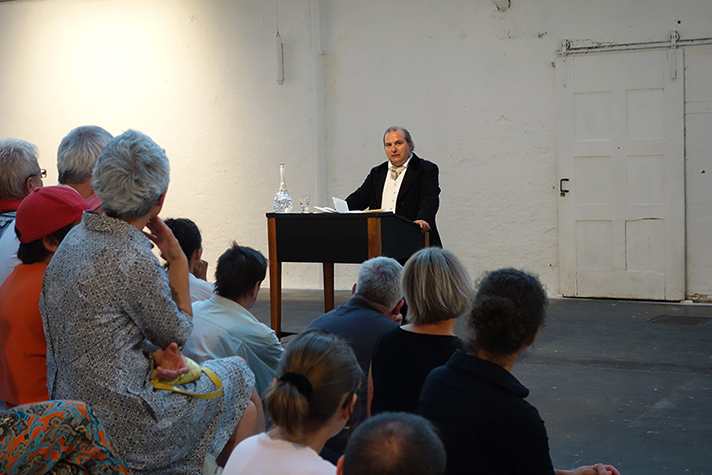 Premier at the opening of Louis Agassiz (1807-2013): Eine Heimsuchung exhibition at Neue Shed im Eisenwerk, Frauenfeld, CH. 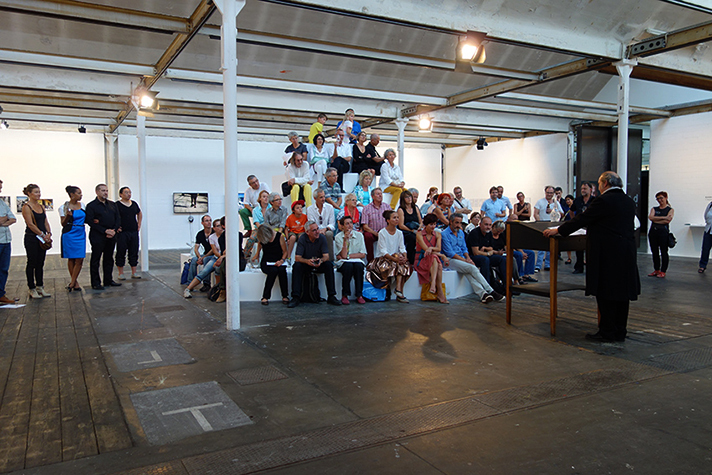 During the exhibition of Louis Agassiz (1807-2013): Eine Heimsuchung exhibition at Neue Shed im Eisenwerk, Frauenfeld, CH. 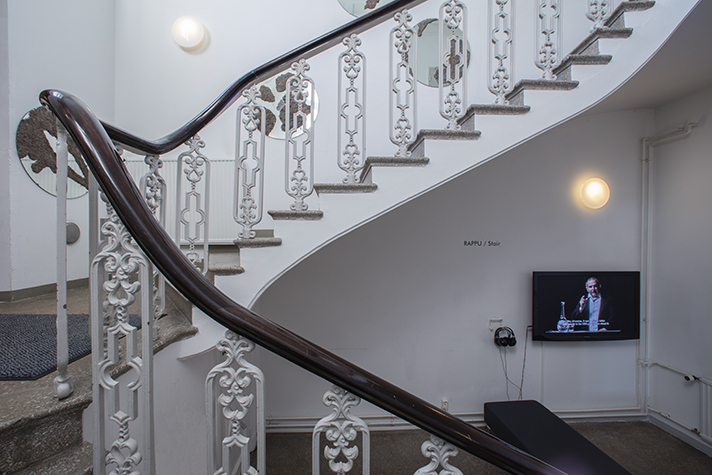 Installation view at the Pori Art Museum, Finland, 2016.